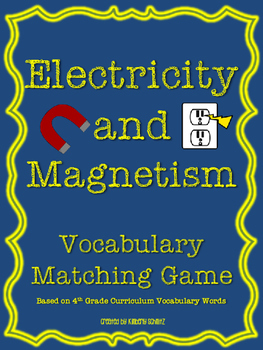 This product is a vocabulary matching game to review key science vocabulary terms associated with Electricity & Magnetism. 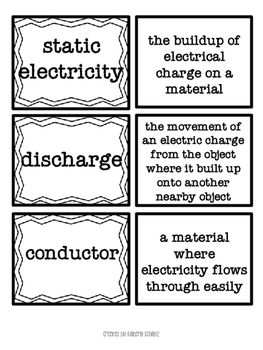 Created with an upper elementary science classroom in mind, this resource could always be used to differentiate instruction for primary or middle school classrooms as well! 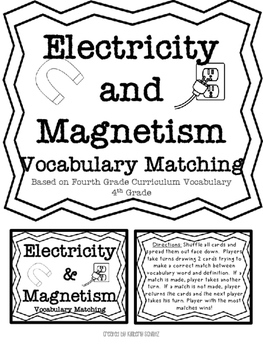 This resource can be used in centers, sent home for extra practice, or to review before a test.